The Haivision Video Cloud topic for version does not exist. Would you like to go to the home page of version instead? Welcome to the documentation for Haivision® Video Cloud. 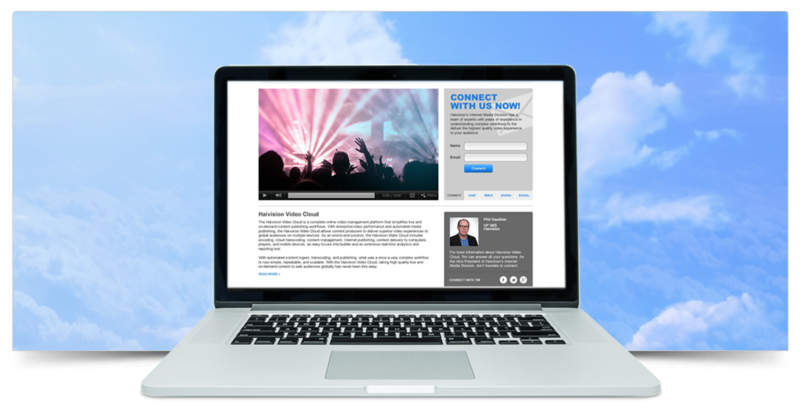 The Haivision Video Cloud is a cloud-based video content manager system that provides the tools you need to distribute your live and on-demand video – to connected audiences around the world or across internal portals, company websites and mobile applications. If this is your first time visiting, please see How to Use the InfoCenter for tips and tricks on browsing this site. The Displaying a Video Asset process involves several smaller tasks or procedures. To avoid complications, be sure to perform these steps in order. Click the links to navigate back and forth between steps.